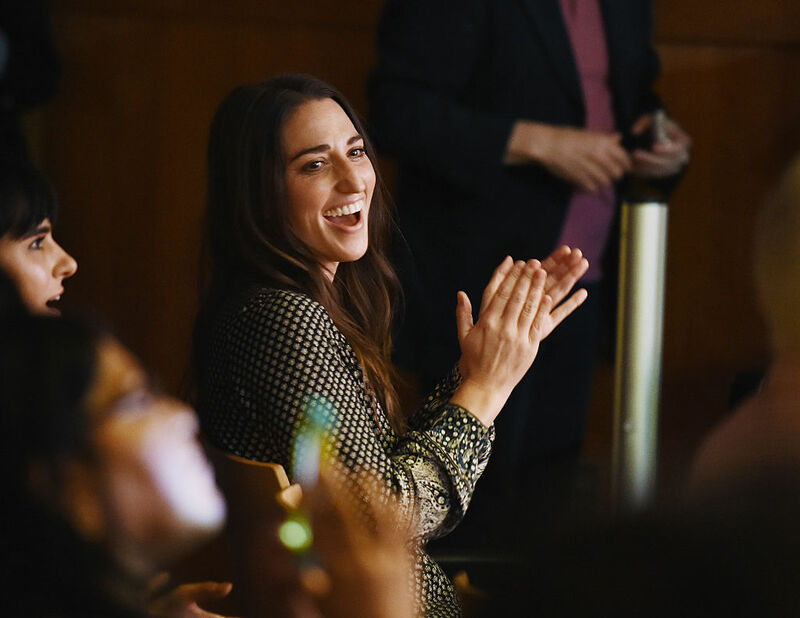 Sara Bareilles was one of the performers chosen for Michelle Obama’s wonderful concert on Monday in New York City for the spouses of government leaders. The event was designed to encourage them to create more opportunities for women to access education their respective nations and was part of the Obama’s awesome Let Girls Learn initiative. From the sounds of it, it was an absolutely smashing success. Bareilles, whose musical Waitress features a strong and powerful female lead, was joined by many other strong and powerful female Broadway entertainers. After performing Bareilles was so inspired that she decided to share her thoughts in an enlightening Instagram post that we are totally in love with. This epic event clearly had a lasting affect on the singer. She shared her post-concert thoughts perfectly in her caption while letting her beautiful voice and lyrics of her song “Uncharted” speak for themselves. She wrote, "So inspired by the #letgirlslearn program today--provided by @michelleobama. I felt so fortunate to get to learn about the world through the eyes of a group of people who want to inspire girls to keep doing just that...to learn." The singer has always remained honest and raw in her style and music, this post represents so much of what we truly admire about her. And Bareilles wasn’t feeling just inspired. She also felt a deep sense of gratitude. She added, "I take for granted how easily we can access education here...so tonight I'm feeling grateful and returned to a song that arrived as I was embarking on an unknown journey in my own life. I never want to stop learning. #LETGIRLSLEARN"
Her message is such a great reminder to enjoy the opportunities we’re given while continuing to learn and grow.